Geothermal energy or geothermal power is in fact Earth’s thermal energy that is generated by heat stored beneath the Earth’s surface. Since geothermal power has great potential, we’ll take a look here at its main advantages and disadvantages when used for heating. 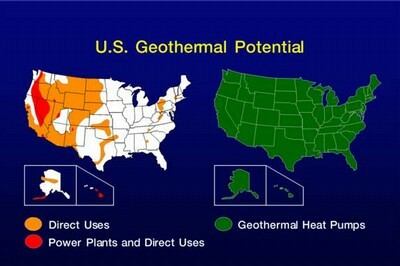 This picture shows U.S. geothermal potential. Probably the biggest advantages of geothermal heating are low heating costs (cost savings can be as much as 80% over the fossil fuels) and it also uses significantly less electricity than standard heating systems. Geothermal heating uses Earth’s heat which is a renewable energy source. When it comes to efficiency geothermal energy is 48% more efficient than gas furnaces and even 75% more efficient than oil furnaces. There are also very low levels (sometimes none) of the air pollutants and greenhouse gases making it from this point of view as highly ecologically acceptable solution. Not only that geothermal heating system heats the house but it cools it as well and operates very quietly. There is also uniform heating meaning there’s no cold and hot spots and of course there are no furnaces or chimney to clean after. Maintenance of geothermal heating system is also very cheap since it requires only changing the heat pump unit’s air filter. Geothermal heating system can be also introduced into the existing home, especially if there’s forced air duct system and its underground piping has lifetime of over 50 years. Main disadvantages of geothermal heating are very high installation costs and its positioning, since it requires big yard for horizontal installation and a bedrock-free ground for vertical installation or a well or pond. 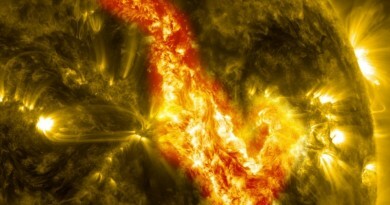 The Department of Energy estimates that the installation cost on a retrofit can be recouped in two to ten years and sometimes as some experts say payback can be even more than 20 years long. Installation of geothermal system can be also quite tricky so it’s needed (and very much suggested) to hire a certified installer which of course costs more than regular installation and installation in cities is sometimes not possible because of small lots and more often than not geothermal units are not compatible with the existing heating units such as radiators. 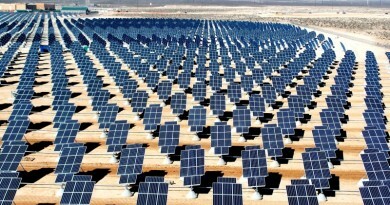 There’s also the fact that geothermal energy isn’t 100 percent clean energy source because of the geothermal pumps. 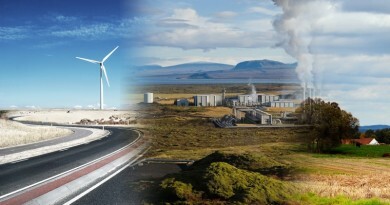 Geothermal pumps are using coal based electricity and coal isn’t ecologically acceptable fuel since it releases carbon dioxide that causes the global warming. So here are the advantages and disadvantages of geothermal heating and basically if you can afford it go with it despite the high initial costs and the long-term payback because its advantages outweigh its bad sides. This particularly applies to the low heating costs and excellent efficiency of geothermal heating systems. ← How does nuclear power plant work?